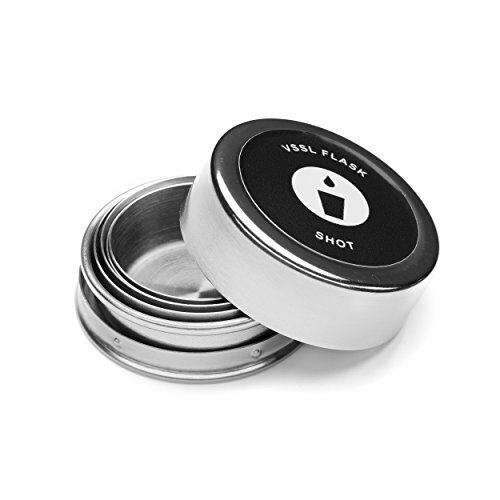 ALWAYS READY: Carry 10 ounces of your favorite beverage, two stainless steel collapsible shot glasses, and a custom VSSL bottle opener on your adventure. SAFE TO DRINK: The Flask has been infused/lined with glass because it's the best material to preserve the taste & quality of your beverage; guaranteed BPA free, no metallic taste, no toxins or chemicals. 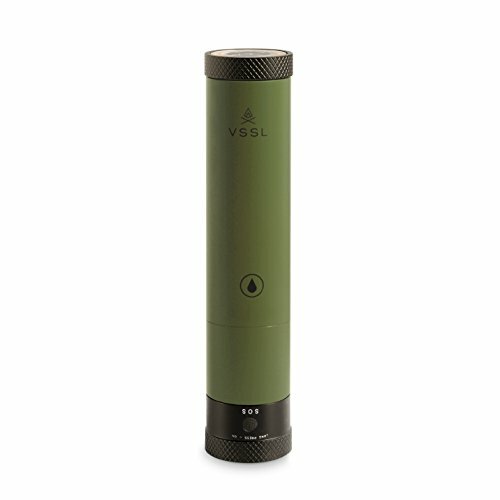 BUILT TO LAST: Military spec aluminum you can depend on wherever the wilderness will take you; ideal compact size of 9 inches by 2 inches allows you to bring it with you anytime and all the time without weighing you down; assembled in Canada. 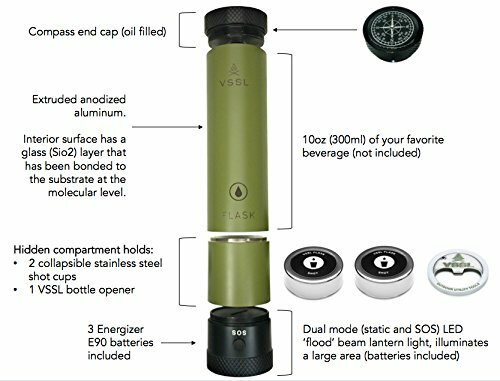 An awesome companion to the VSSL Survival Flashlight, the VSSL Flask with Built-in Flashlight is perfect for a camping your buddies where glass bottles might not make the trip. 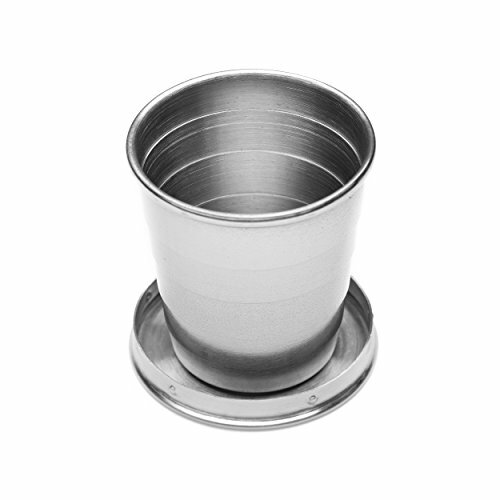 This sturdy aluminum flask can hold 10 oz of your favorite liquor along with two collapsible steel shot glasses. 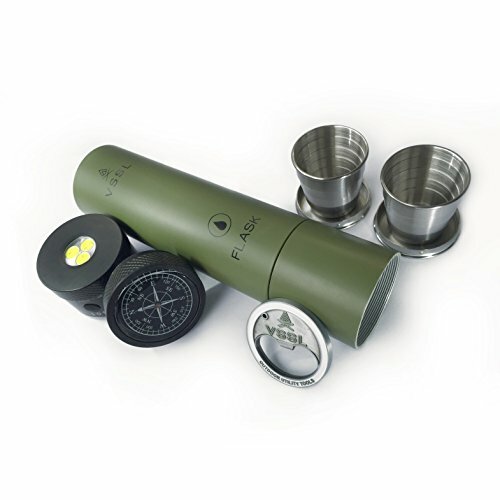 It also has a built in flashlight so you don’t spill while pouring in the dark along with a compass so you have a chance of making it back to camp after you drunkenly stumble off into the dark to find a place to pee. 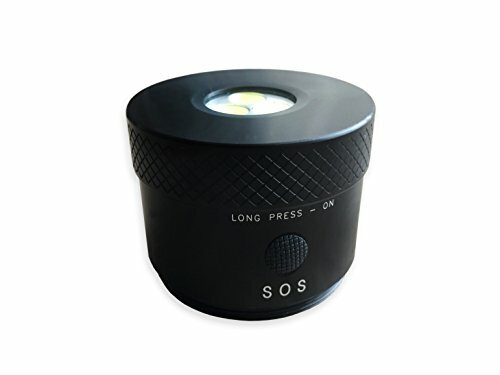 The flashlight even has a flashing SOS mode so you can signal for help when you run out of booze. 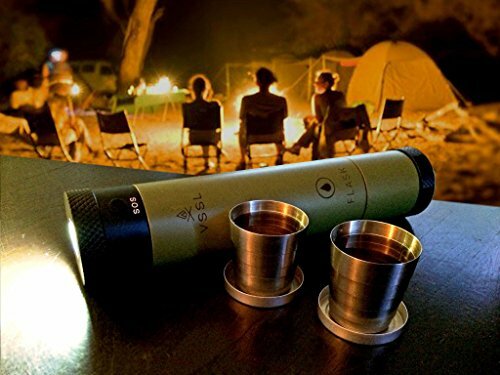 So, if you like to camp but, still like to have a little bit of firewater before you turn in for the night, the VSSL Flask with Built-in Flashlight is just what you’re looking for. Dimensions: 2 x 2 x 9.5 inches. I suppose you could use it for water in an emergency. You know, if you had to do without liquor in order to survive.